"Luciano Pavarotti's repertoire comprised only a few roles, but his performances and recordings of them wrote and rewrote history. This was the case in 1970 as Nemorino (in L'ELISIR D'AMORE) alongside Joan Sutherland and in 1972 as Rodolfo (in LA BOHÈME) under Karajan, with Mirella Freni as Mimí. 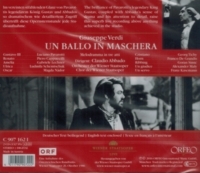 But while Pavarotti's Riccardo (Gustavo III) in Verdi's UN BALLO IN MASCHERA in his studio recording of 1983 is given pride of place because of its surface brilliance (not least thanks to Georg Solti on the podium), in his live TV broadcast of the same role three years later under Claudio Abbado he offers a striking sense of musical and dramatic immediacy. 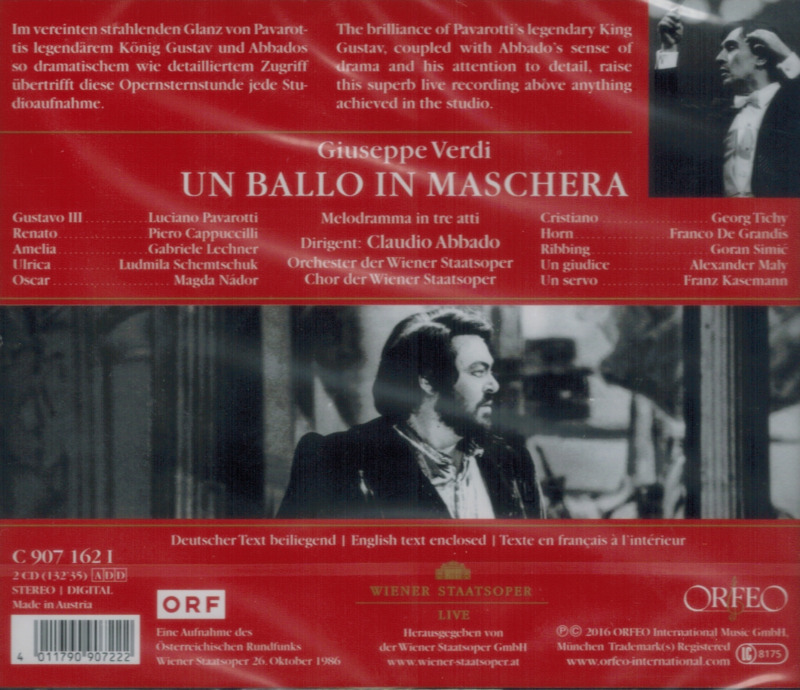 In this recording of that broadcast from the Vienna State Opera, we can hear a performance both highly nuanced and possessed of an immense radiance, from his very first 'Amici mei' to his touching death scene." "Pavarotti's first teachers were Arrigo Pola and Ettore Campogalliani, and his first breakthrough came in 1961, when he won an international competition at the Teatro Reggio Emilia. He made his début as Rodolfo in Puccini’s LA BOHEME later that year."